Suzuki has showcased the all new 2014 SX4 at the ongoing Geneva Motor Show. The car is based on S-Cross Concept, which was unveiled by the Japanese auto major in the same show last year. The car is innovatively designed and charms one and all in terms of its interiors and exteriors. 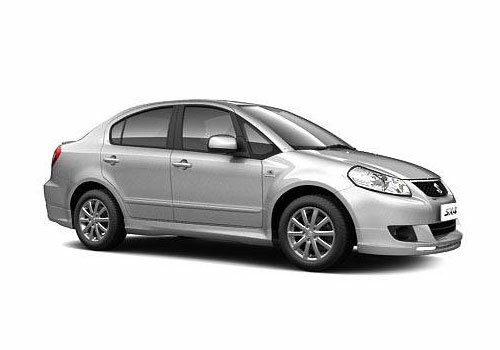 You would notice that 2014 Suzuki SX4 is bigger in dimension and looks much more alluring than ever. The price tag isn’t known so far, but the initial sale of the car will be done in Europe during the second half of 2013. The production of the next generation SX4 will commence at its factory in Hungry and would be rolled out in an all-drive variant as well. Beginning with the technical specifications, the new Suzuki 2014 will arrive with a 1.6-litre petrol engine. on the other hand, keeping in mind the high demand for the diesel cars, this will also be introduced in a diesel variant featuring 1.6-Litre Fiat MultiJet Diesel mill. Here the petrol motor will come coupled with a standard five-speed manual transmission, while the diesel variant will be seen with 6-speed manual transmission. The automatic gearbox option has also been announced. Whenever launched with an automatic transmission options, it will feature 7-Speed CVT gearbox. Right now, nothing can be said about the launch of 2014 Suzuki SX4 in India, but you could not expect this one in the country for this year at least. For India right now, the car maker is focusing on the facelift version of Maruti Suzuki SX4 sedan, which has been spotted during it’s test runs in the country. The official launch date along with the tentative price tag of the same is expected to be announced in next couple of months.